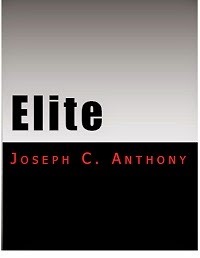 "Elite" was my second attempt at a novel and my first successful completion of one. The fact that there are people around the globe now reading and enjoying my story just blows my mind. I find the reaction to the characters in the reviews of the book quite interesting as I put a lot of myself into this book, and many of the relationships are based on my own reality. I am a huge fan of comic book characters so it seemed quite natural for me to create my own superhero-esque character, but I also wanted it to be somewhat based in a conceivable reality, while still exploring the world of science-fiction. The result is "Elite." The story I have constructed in my mind is however far more extensive than what is covered in this one book. In fact in my original plans the first book of the series to cover much more than "Elite" does, but as my word count grew and grew I realized that I needed to break the first part of the story into two separate books. I now have plans for a trilogy. So as you reach the end of "Elite" do not skip the epilogue and do not be disappointed that it's over, the story does not end here. In fact it is only just beginning.